The Berlin Wall was in news recently which inspired me to publish a poem written in 1992. Lips sealed for words could not express. But remembered the separation clear. Taut skin fresh and youth full bloom. People had hope to reach far. Houses to be rebuilt, lives taken ahead. Defeat or victory couldn’t make them die. Concrete and bricks were erected to divide nationality. Citizens couldn’t stop them either. Siblings were separated never to unite. Lived those who compromised,others died jumping stones. Which they later called the Berlin Wall! Wall was painted with screams and appeals, desire to regain lost home, no further could recede. Making the strongest of bricks shudder. 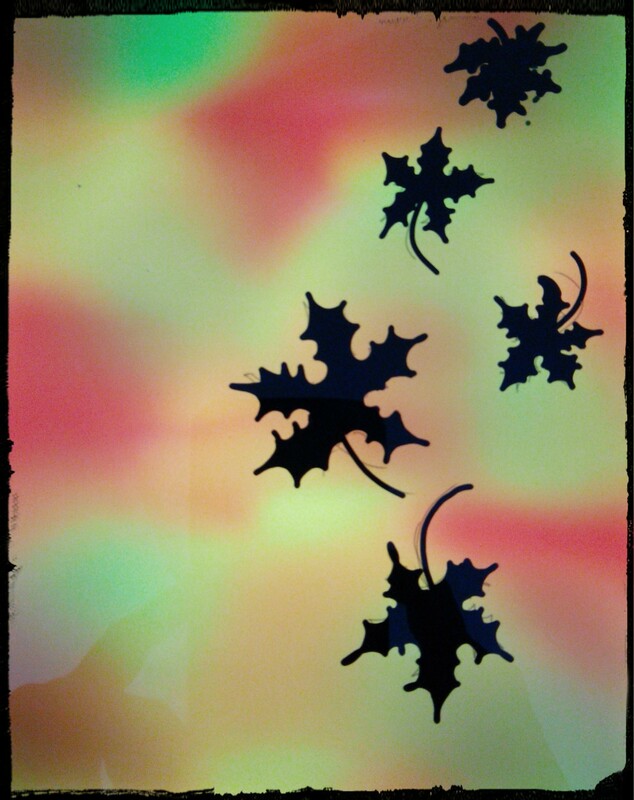 Now it had to fall, once and for all. 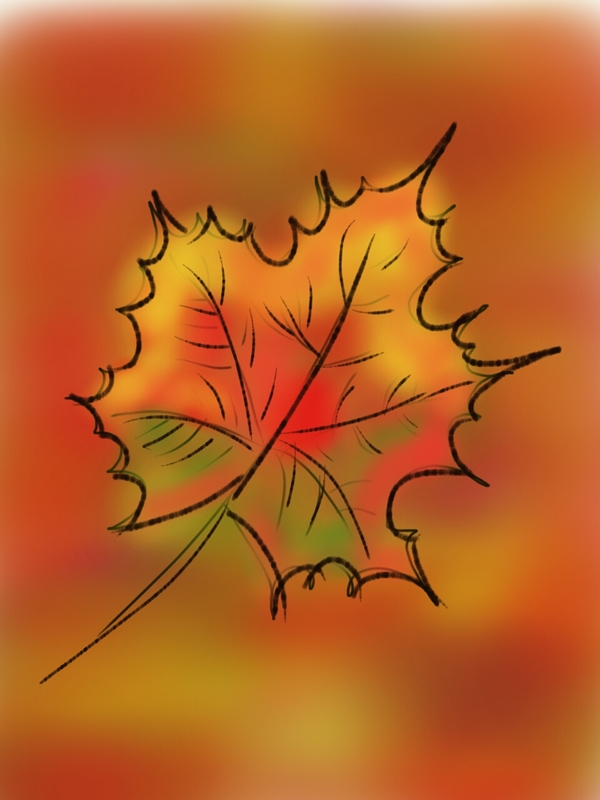 Posting the last painting of this series by Mrs. Kanak Sinha. She graduated from Vasanta College for Women,Banaras, which is affiliated to Banaras Hindu University.Her fine arts teacher was Shri Avni Kumar Sinha, lovingly known to students as Avnida. He was from Kolkota School Of Arts.The unique thing about his classes was that all the students in his class were given just a topic and every student had to compose a painting on their own thus no two paintings under the same roof were the same, there was no copying , all compositions by every student were original. 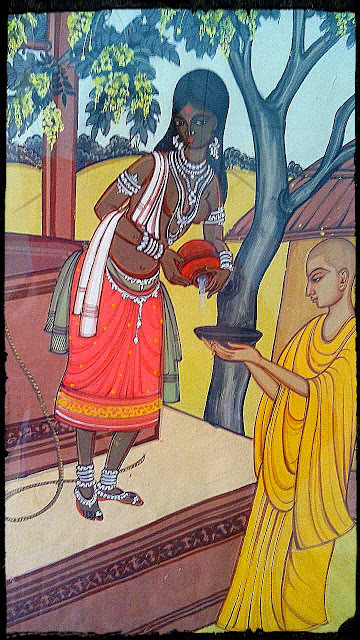 This painting depicts the story of an “untouchable” woman, Prokrithi who was mistreated by villagers because of her caste.She found a new life when a Budhhist Monk named Anondo requested her to give him water to drink from her well, breaking all the barriers of caste rules and told her she was equal to all other humans. This story was written by Shri Rabindranath Tagore in 1933 to bring awareness about the futility and unfairness of caste system.It was turned into a dance drama in 1938. Santhal are a tribal community ,they form the largest tribal community in India and inhabit many states of India like Jharkhand,Bihar,west Bengal. 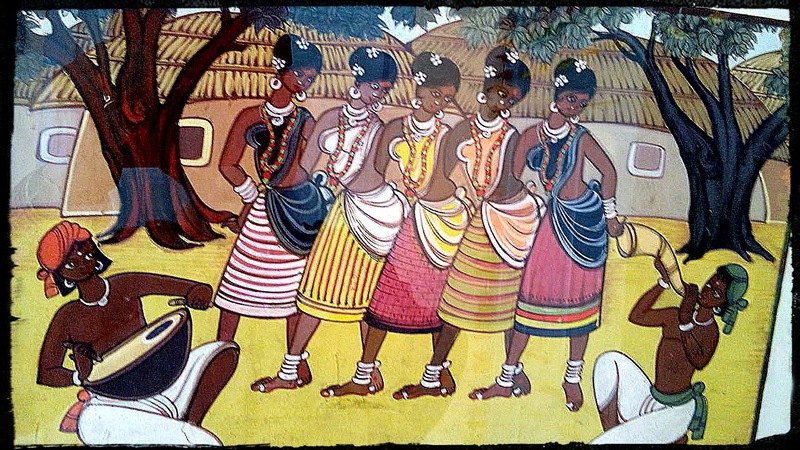 This painting depicts their folk dance performed by women, accompanied by male musicians.